Do you have a college-aged son, daughter, or other youth in your life who moves in and out of the dorm every year. This can be a daunting task for both students and parents. Not only do you have to find boxes to pack EVERY YEAR, but you have to store those items when your college-aged person comes home for the summer. 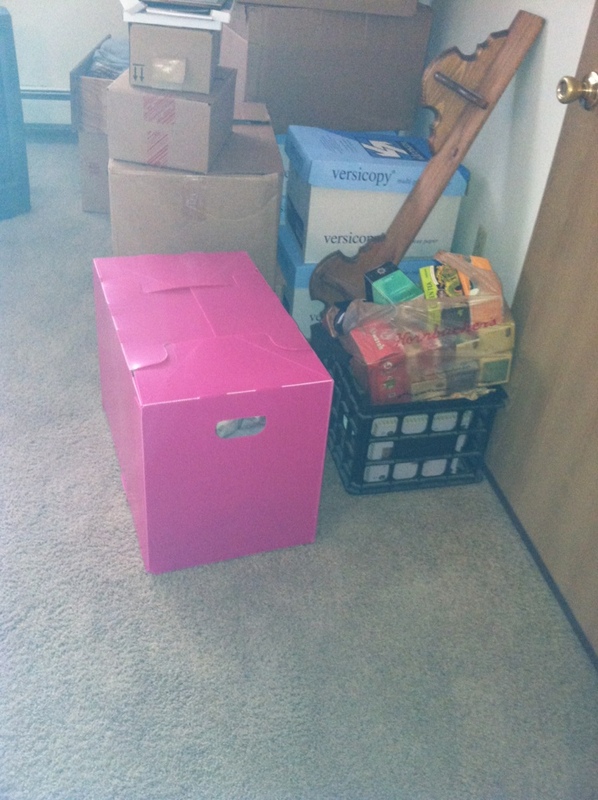 My sister, who is in her 20s, recently moved into a new apartment, and needed help moving. She also need plenty of supplies for her hew apartment. Rather than packing up the items in a box that I would have to hunt down in the house, I simply popped open the Pacakaway Dorm Box, and placed the items I was giving her in the box. You can see that it seals shut on the top buy 4 tabs, and it has hand hold on the sides for ease in carrying. and slid it under the seats in my car. The Packaway Dorm Boxes are very easy and convenient to use, and perfect for moving in an out of the dorm. A college student could collapse them and keep the in even the smallest of storage spaces until it was ready to move out. I love these containers! I love how easily they fold away when not in use!